Which Loan Is For Me? This week HM Treasury announced new funding for the Illegal Money Lending Team of £5.5 million to help with the fight against loan sharks and to help promote credit unions as a responsible, regulated alternative to loan sharks. Head of Policy & Communications at the Association of British Credit Unions, Matt Bland, said: “It was great to see the announcement of extra funding for the fight against loan sharks this week. Many credit unions work with the Illegal Money Lending Team across the country to encourage local people to come to them before ever taking the dangerous step of borrowing from an unlicensed lender. Despite its relative affluence, there is still evidence (from the Herts Money Advice Unit) that loan sharks are operating in the St Albans District. 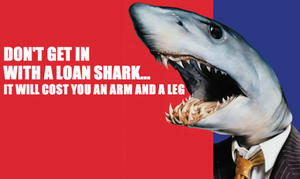 The St Albans District Credit Union provides a real alternative to loan sharks and other high cost lenders by offering fair cost loans. Learn more about our loans here. – What is a Credit Union? – Which Loan Is For Me? – Why Save With Us? Cookies are small text files stored on your computer by your web browser at the request of a site you're viewing. This allows the site you're viewing to remember things about you, such as your preferences and history or to keep you logged in. Cookies may be stored on your computer for a short time (such as only while your browser is open) or for an extended period of time, even years. Cookies not set by this site will not be accessible to us. Analytics. This allows us to determine how you use our website so it can be updated and improved based on your needs. These are the main cookies we set during normal use of our web site. These are the Additional cookies we set during normal use of our web site.